This self-catering apartment is set on a new complex which comprises four gated condominiums each with their own children's and adult pools and garden. This 1st floor, 2 bedroom apartment is very spacious and tastefully furnished throughout. The master bedroom has a double bed, 2 large wardrobes and patio doors lead onto a large balcony. A large ensuite leads off the bedroom with a shower/bath. Bedroom 2 has 2 single beds and a built in wardrobe. A second shower room has a shower, toilet and washbasin. The large beautifully finished kitchen is equipped with - fridge/freezer, hob and oven, microwave, dishwasher and washer/dryer and separate kitchen table. A spacious store leads off the kitchen. The large lounge has a dining table to seat 6 people and two sofas - one which converts into a comfortable double bed. Patio doors lead to a second balcony. For your entertainment there is a TV, DVD player and Internet TV. WiFi is included. All bedrooms and the lounge are air-conditioned. The Perfect Holiday Location: The apartment which is furnished to extremely high standards is ideal for that relaxing family holiday. It is a perfect base for exploring the surrounding area, nearby beaches, water parks, shops, markets or simply relaxing by the pool. If you wish to relax in the evening after a fun filled day, tuck the kids up in bed and sit back with a glass of wine on the balcony. It is also ideally situated for the avid golfer, who will be spoiled by the numerous world class golf courses in the area, providing all year round golfing. Children are catered for at the nearby Corcovada snack bar which has a play area and Crazy golf. I am sure you will enjoy your stay in Corcovada. Guests are asked to provide their own beach towels. Iron, ironing board, hairdryer provided. Linen and bath towels are provided but guests are requested to bring own beach towels. There is underground car parking with lift access to all floors. 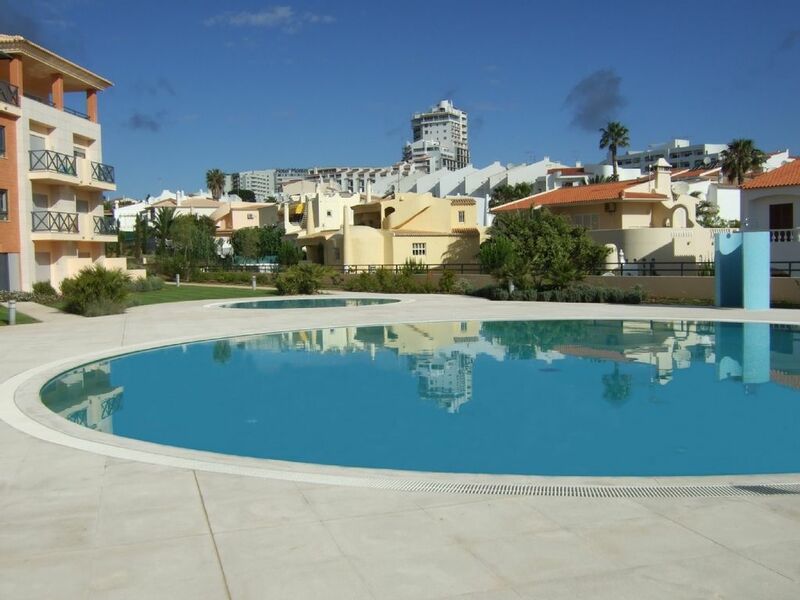 Great holiday appartment in a good location with a lovely pool with plenty of sun beds. Really enjoyed our stay here and would recommend this appartment to anyone. We would not hesitate to recommend this apartment. It is to a very high spec, and has everything you could possibly need. Rooms are large and spacious, and it has a luxury feel to it. Air conditioning a huge bonus as nights can be very hot in August. Balconies to both master and sitting room were well used. The pool is perfect, with sunbeds to relax on inbetween dips in the pool. Although it was mid August and the apartments were occupied, there were no issues with noise - it was very calm and relaxing. Loads of parking spaces if you decide to hire a car. Easy walk to the strip, where there are more bars and restuarants than you could hope to visit. And the beach was easily accessible on foot. We have teenage children and were very able to reach the Old Town on foot - although it was a good 30 min walk. But if you prefer, taxis are cheap (about 8Euro for the family) or there is a tourist train (although this worked out more expensive than the taxi, which was air conditoned and dropped you door to door). Beaches were beautiful - we found a quiter beach just a little further on from The Strip (but again we reached on foot). The main beaches are full of activities to keep everyone busy, if that's what you are after. The huge inflatable in the sea was a bargain at 6 Euro for an hour. We tried Scuba Diving at nearby Indigio Divers. Numerous boat trips for all budgets from the Marina. I could go on! The Portugese people were welcoming and very genuine. We didn't feel we were being 'ripped off' at all, and the prices were cheaper than in England (although an excellnt exchange rate when we visited really helped!). The booking process was easy, and we were sent all the details near to the departure date. Transfers were arranged by Alan and were faultless. Met at the apartment by David who was extremely helpful. It was just fabulous. Don't miss out on this little gem - get booking! We booked the apartment for two weeks and the standard of it was excellent, exactly as described. It was clean and tidy on arrival (book Yellowfish transfer from airport) and had everything except a hairdryer. The local caretaker when told lent me one for the length of our stay. The air con system was great and necessary. The facilities allowed us to cook breakfast and lunch most days and we also cooked or got takeaway from Roberto's which was across the road on a few evenings and then chilled out and watched a DVD . The food from Roberto's was very good and I would recommend them to anyone staying at Parque da Corcovada. The washing machine was put to good use - very necessary when you are trying to cut down on the amount of luggage due to the limited baggage allowance. The location of the apartment was good - within walking distance of The Strip with its bars and restaurants but the beaches were a bit of a hike. If you are heading to the Old Town get the tourist train from the Strip and get a taxi back - the taxi costs just as much but is faster and leaves you at your front door. On arriving I would suggest a taxi to the big supermarket just past the worms roundabout. Everything is a fraction of the cost of the small local shops, the choice is much better, and the quality of meat, fish, fruit and veg is perfect. Buy local brands where you can, you won't notice any difference except in the price. There were lots of very good restaurants - Jonny Hoopers saxaphone bar was great - ring and book it.. At the bottom of the strip there are a number of good restaurants and in the Old Town the Portuguese restaurants were far superior - I would recommend the fresh fish dishes with some local wine! My only complaint about the apartment block was that we would have made use of folding sun longers to take down to the pool if they had been available as some days it was impossible to get a sun longer by the pool. The man who maintained the pool area tried his best to ensure that beds were not pulled onto ground floor patios or had towels on them but sometimes he was fighting a loosing battle. It was very frustrating to have to put our towels on the grass area and sit on the ground when others had reserved their beds - for their entire families and didn't bother to use them until after lunch or mid afternoon. Had a great time in Portugal last August. Beautiful spacious appartment. Home from home!! Very clean and tidy. Lovely pool area. Short walk to Strip - Plenty of shops and restaurants. Train to Old Town very handy. Everything went without a hitch Thanks to Alan's great organising- transfers to and from Airport. Would love to go back. Highly recommended. We found the property to be very clean and spacious. The property is in an ideal position for a family just minutes away from the strip but far enough away to have a peacefull time, especialy around the pool. Overall we would not hesitate in reccommending this property to anyone and would like to think that we will use it again. Fabulous apartment, a real home from home! My mum, dad, husband, one year old son and myself stayed here in July 2011 and we had a brilliant time. The apartment is spacious, modern and very well equiped, it had everything we needed for ourselves and our son. Alan arranged the transfers for us and also the travel cot, it all ran so smoothly. The pool area was immaculate and the baby pool was perfect for our son. The apartment has a very central location to the 'strip' area but is still in a lovely quiet area. A perfect apartment for anyone who likes comfort whilst on holiday. It even came with a huge selection of new dvds. We all thoroughly enjoyed our holiday in Alan's apartment and definately plan on returning next year. A 5 star apartment! Albufeira, Portugal's most popular resort, is described as the “Tourist Capital” of the Algarve and is a perfect base for exploring the surrounding area. Golf: The Algarve’s many championship courses have established it as a premier golfing destination. Being centrally located, Parque da Corcovada is a convenient base for all levels of golfer. The five Vilamoura courses are only 15 minutes drive away. Balaia, Salgados and Pine Cliffs a mere 5 minutes drive. Other great golf courses like Quinta do Lago, S. Lorenzo and Vale do Lobo or Vila Sol are just an easy half-hour drive away. A 25% non-refundable deposit will be required on booking and the balance is to be paid 6 weeks prior to the arrival date. Payment by bank transfer or cheque. £150 damage deposit required (refundable within 2 weeks of departure). The apartment will be available from 3pm on the day of arrival and must be vacated by 10am on the day of departure.